Baltic Air Charter supports "Help for Heroes"
26 May has been set by Virgin Blue, Australia’s second largest airline, for the introduction of a full two-class wide-bodied operation on its domestic services. The airline will shortly take delivery of the first of four Airbus A330 aircraft that will be used on the five-hour sector between Perth and Sydney featuring a 27-seat dedicated 2+3+2 Business Class with a fully reclining seat offing 62 inches of pitch. The airline’s “The Lounge” pay as you go facility is part of the Business Class product. Passengers throughout the aircraft will be offered the latest IFE (in-flight entertainment) system with films, TV and audio. 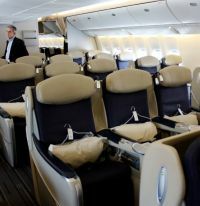 The airline's 737s and Embraers operate with Economy and Premium Economy to differentiate with the superior A330. Virgin Blue competes against Qantas with Boeing 767s. 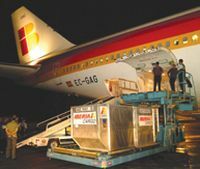 Following the merger of British Airways and Iberia, the airlines’ cargo operations will be run as a single business unit reporting to International Airlines Group (IAG), the holding company created by the merger. The combined business will be one of the 10 largest air cargo carriers worldwide and will be led by Steve Gunning as Managing Director and Ignacio Díez Barturen as Deputy Managing Director. 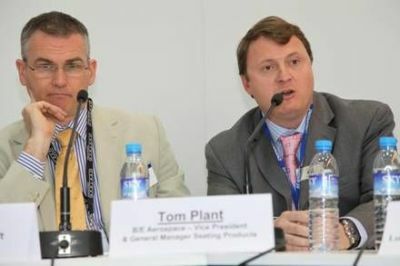 They were previously Managing Directors of BA World Cargo and Iberia Cargo respectively. Toronto continues with a surge of planned and actual hotel openings (see last week’s AERBT) with the Holiday Inn Toronto Downtown Centre now welcoming visitors. The new hotel is Canada’s largest Holiday Inn property with 513 rooms over 23 floors and features 9,000sq ft of modern, multi-functional event space. The project is part of the US$1bn Holiday Inn global brand re-launch. Hilton Worldwide has made its debut in Jordan with the opening of the DoubleTree by Hilton Aqaba. With views over the Red Sea it is located in the central business district of Jordan’s southernmost city and only port, within walking distance of popular seashore attractions and all major shopping areas. The newly built 173-room hotel has been designed to welcome guests with contemporary style, an array of upscale amenities and warm Arabian hospitality. Named by the Arab Tourism Ministers’ Council as the Arab Tourism Capital for 2011, Aqaba is particularly well known for its resort lifestyle amongst intra-regional travellers, as well as European holidaymakers, who often stay while also visiting cultural and eco-adventure destinations such as Wadi Rum, Petra and the Red Sea. Capetown is to become Air France’s 12th new destination launched in 2011. From 3 November the French national airline will operate three weekly frequencies to Africa’s most southerly city. It is the country's legislative capital and the seat of the South African Parliament. Flights will be serviced by a Boeing 777-200 with 35 seats in the Business Premier, 24 in Premium Voyageur and 250 in the Voyageur cabin. Air France introduced the Airbus A380 on the daily Johannesburg route in February 2010. Ryanair, which some people call “the most annoying airline in the world”, seems to be on the expansion trail again out of Stansted, albeit in a small way. Starting from July this year the airline will introduce a twice weekly service from Stansted to Corfu. The airline now offers four Greek connections - Stansted to/from Corfu, Rhodes and Thessaloniki and Liverpool to/from Kos. Corfu is currently served with daily flights from Luton by easyJet, and also by Monarch from Gatwick. Flight time is around 3hr 20 minutes. 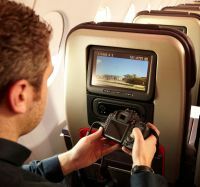 Panasonic and Virgin Atlantic have released more details of the in-flight entertainment system (IFE) that went into service last week with the introduction of the airline’s new Airbus A330 aircraft (www.aerbt.co.uk/#3279). Passengers in all classes will be able to plug in a USB to view their own content. Destination videos are also available amongst many other features. For those that do not want to use the touch screen the handset is in the seatback and not in the traditional airline position using the armrest. An email system using travellers own Blackberries and PDAs will be introduced later. 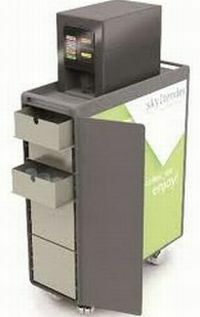 For the business traveller one of the innovations is “Live News from Sky”. You can browse as if on the ground. In addition to this, Sky News Radio and Sky Sports Radio bulletins are available hourly. More generously proportioned, more user-friendly, more practical, more efficient (lighter in weight than its predecessor) and mechanically vastly advanced. That’s the new Volkswagen Sharan Multi Purpose Vehicle. Just when Crossover vehicles seemed to be grabbing all the attention Volkswagen has come up trumps with a most sensible product. I feel it is stylish without any suggestion of being cumbersome. It is a sensible package. The Sharan’s technology is based on Volkswagen’s highly acclaimed Bluemotion efficiency technology and currently for the UK market there is a choice of two petrol and two diesel engines, the less potent being partnered by a well ratioed, easy changing 6-speed gearbox as standard with the top 198 bhp 2.0-litre petrol version equipped with the selectable DSG automatic transmission. The latter unit can also be specified as a cost-extra option of some other versions. 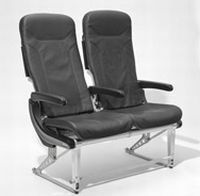 Four trim versions are offered, S, SE, SEL and Executive, the first three come with a seven-seat format as standard, the latter, designed for the business market, provides six leather upholstered seats. Initially the most obvious change over the previous Sharan which shared its DNA with the Ford Galaxy and SEAT Alhambra, is the provision of easy operating sliding rear doors that makes for an easier life in tight car parks, more safety when unloading younger occupants and relatively easy access to both rear rows of seats. My first encounter with this new Sharan certainly raised my eye-brows when I realised it was powered by a mere 1.4-litre engine, an engine size that not so many years ago would not pull the skin off the proverbial rice pudding, let alone provide sufficient urge for a car loaded up with seven people and accompanying luggage! Here is a clear demonstration of how far engine technology has advanced in the face of seriously challenging environmental and economic challenges. No kidding, this turbo-charged petrol engine pushes out 150ps (148 bhp) in an amazingly civilised and flexible manner, endowing the Sharan with a claimed top speed of 122 mph (where the law permits, VW hastens to add) and with an acceleration time to 62 mph (100 kph) from rest in a commendable 10.7 seconds – slightly quickly if the DSG transmission is fitted. Notably, power delivery is smooth, flexible, lively and without the surge factor common with some earlier turbo-charged petrol engines. Work a small engine hard and it gets thirsty. Well, that used to be the case but not with this amazing engine, the official combined consumption figure is a sensible 37.2 mpg. Clearly load it up, work it hard and that figure should obviously decline but the fact is that a lot of the time the normal use would be less demanding and that is where the economy gain is very important. In developing the Sharan, Volkswagen has optimised the ‘Purpose’ part of the vehicle’s designation to a major degree. The rear seating arrangement is based on three individual seats in the middle row, and a pair of generously proportioned seats at the very rear. Importantly there is a slide facility for the three middle seats thus enabling leg space to be apportioned as occupant demand dictates plus there is a good size foot well depth for the two rear seats thus enabling at least moderately proportioned adults to travel in relative comfort. Luggage capacity is also an object lesson for most rivals. With all seven seats in use there is a useful 300 litres of load space and with all seats flat folded (an easy task) there is a massive 2,297 litres and obviously other seat/load permutations. Another major advance is the ride and handling qualities of the new Sharan. 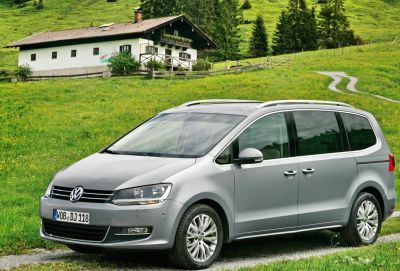 Some MPVs tend to float when driven with a light load, not so the Sharan, the suspension is a successful combination of firm ride but with good bump insulation that is generally not affected by varying loads. Steering response is positive through a nicely balanced steering wheel action, the brakes progressive rather than sharp and the six speed gearbox light and positive in operation. Straight line stability is also a strong point. The driver’s lot is also a good one with easy access (there are grab handles above all the doors to help access, the generous range of seat and steering wheel adjustment ensures a bespoke fit for all shapes and sizes of operative. The all round vision is very good and importantly the fascia presentation is uncompromisingly benchmark Volkswagen which means clear no-nonsense instrument and easy switch gear that is housed in a stylish and well finished fascia. Don’t be fazed by the electronic parking brake, it soon inspires confidence. Other important factors in favour of the Sharan is a 5-star Euro NCAP safety rating, airbag protection throughout the whole vehicle, optional integrated child seats, optional rear view camera with satellite navigation, Stop+Start fuel/emissions saving system and the option of Volkswagen’s highly rated Park Assist. The new Sharan makes a very strong case for those looking for an MPV that has clear cut driving character and so many other qualities. A lot of rivals seriously need to play catch-up! Rivals include: Kia Sedona Peugeot 3008, Citroen Grand C4 Picasso, Mazda5, Renault Grand Scenic. Price from £23,470 on the road. There’s no better way for a car manufacturer to launch a refreshed brand image than by introducing a new class of model, one perhaps it has not previously offered in the past. This is no cosmetic exercise based on a main stream model though there is a lot of the excellent drive quality pedigree of the impressive range that has been proving sales winners for Peugeot. The RCZ is a stand alone special car that has plenty of spice, plenty of zest yet a certain coolness about its presence. Accessing the front seats is more of a slide in operation and seat comfort (enhanced by a heated system on the test car) is a ‘fit like a glove’ experience that not cramped but supportive in all the right places to ensure that the performance can be enjoyed while the driver and front seat passenger are well secured to cope with the acceleration and cornering forces that could be experienced under really discerning driving. The cockpit presentation is no let down, there are drilled metal pedals, conventional clear faced circular instrumentation, honest to goodness fumble free minor controls and switchgear with the overall effect emphasised by the high quality trim materials and excellent build quality that Peugeot has established across it latest model line-up. The drive is no disappointment, the RCZ delivers superbly responsive handling albeit with a firm ride, responsive controls, especially the new generation short throw six speed gearbox. The engine is a gem, smooth, potent with also a satisfying engine note, plenty of rapid pick-up and notable urge under acceleration. Peugeot claim a top speed of 133 mph with 62 mph (100 kph) reached from rest in a creditable 8.3 seconds while a combined fuel consumption figure of 42.1 mpg suggests to me a good score on an index of performance rating. 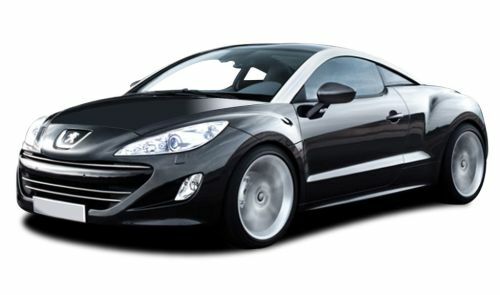 I am not surprised that Peugeot has come up with this iconic product as the company has been successfully demonstrating a range of attractive yet individualistic products and I suspect the RCZ is just the kick-start of an exciting era for Peugeot. Figures issued by the Association of Train Operating Companies (ATOC) last week confirm that both business and leisure travellers in the United Kingdom are using the railways for long distance travel more and more. Catching the train could soon be more popular than going by air on the main routes between the UK’s big cities if the shift from flying to the railways continues at its current rate. The fact that air travel is taxed (APD) whilst this is not the case for railways may have some influence. The findings are based on a comparison of rail industry figures with those published by the Civil Aviation Authority (CAA), and confirm a long-term change in the nation’s travel patterns. According to this analysis rail’s market share on the 10 most popular domestic air routes in 2010 grew to 44% – up from 29% in 2006. If the trend of recent years continues, train companies say that rail’s market share on these routes combined could rise to above 50% within the next 12 months, heralding a ‘turning point’ in how people travel between the UK’s main cities. The assessment shows that rail has the largest market share on the London to Newcastle and London to Manchester service and rail’s overall market share on many of the remaining city pairs has seen increases over the same period, some of them significant. Between 2006 and 2010, total journeys by rail on the routes rose by 42%, increasing by 2m to just over 7m journeys. Over the same period, the total number of comparable air journeys fell by 27%, or 3.25m, to around 9m in 2010. Over the last two years, there has been a particular surge in rail travel on these sectors with train journeys rising by 25%. Sir Richard Branson took on British Airways and bmi with regard to international long haul air routes. He chose never to do so with regard to airline short haul operations instead using Virgin Rail as his flag bearer. After an unsteady start he is clearly winning, destroying bmi’s London to Glasgow service. As a result, bmi now operates just four domestic routes from Heathrow (Aberdeen, Belfast City, Edinburgh and Manchester), down from nine back in the summer of 2007. Tough financial times, the increasing availability of cheap Advance fares – around 800,000 are sold each week – and the fact that train travel is often seen as a ‘greener’ option than flying, have all prompted the shift. For example on London to Manchester, rail’s market share rose from 69% in 2008 to 79% in 2010. Long gone are the days when VLM (now CityJet Air France) could operate up to 12 daily sections between London City Airport and Manchester’s Ringway with very high load factors. The route has now been abandoned. For Birmingham to Edinburgh, rail’s market share rose from 14% in 2008 to 31% in 2010. Here again the air services have been decimated now with only Flybe on the route, offering just five frequencies with a Bombardier Q400 service. On Birmingham – Edinburgh the road distance is 300 miles and five hours driving, as against a one hour flying time. But the train goes to the city centre saving time and money. The more difficult the journey the more popular the air travel has been the rule in the past. This is changing too. Inverness to London survives but only to Luton and Gatwick. Plymouth, the West Country’s major city, and with notoriously difficult access to London by both road and rail has lost its air services (although a case could be made for a PSO (Public Service Obligation) route. For London to Glasgow, rail’s market share has risen from 12% in 2008 to 20% in 2010. Here the road journey is seven hard hours and 400 miles. Virgin could bring the rail journey down to less than four hours in 2012, a tremendous breakthrough heralding an even greater transfer of allegiances. With the contract up for grabs next year and four European rail operators challenging the incumbent what a better way of demonstrating 14 years of real progress on the route and no change with the franchise. On the East Coast the Government still has not issued a tender for the main charter following the collapse of National Express East Coast in November 2009. Currently the services are operated by a division of the Department for Transport with a nullifying effect on both marketing and investment. One can argue this licence should have taken priority for its future rather than the West Coast. Planes v Trains. The battle will rage on. What will happen when/if High Speed 2 arrives. Nobody ever predicted planes would give way to trains as they surely will next year. Someone would have to be very brave to forecast the figures by the end of the decade. “Help for Heroes” (H4H) which provides much needed support for wounded British servicemen and their families was the beneficiary of the Baltic Air Charter Association’s (BACA) Spring Lunch last week, held in the magnificent opulence of the Carpenters Hall in the City of London. 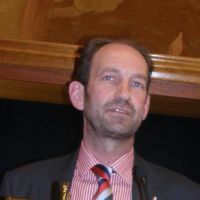 Mark Elliot, Head of External Relations at the fund, gave a moving speech telling of the growth of H4H from its low key beginnings in October 2007. Since then it has raised £92m, of which 100% goes towards helping wounded servicemen and women. American Airlines has reached an agreement with Expedia to restore the online travel company's access to its fares and schedule information. The airline has been in a continuing feud since the beginning of the year with what is claimed to be the world’s largest organisation of its type regarding distribution costs and methods. In January, Expedia dropped tickets for American Airlines from its listings, charging that the airline's new commercial strategy is "anti-consumer" and "anti-choice." 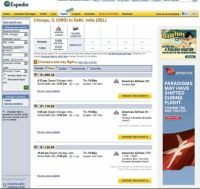 Expedia had stopped selling AA flights at the start of this year when the two companies fell out over AA’s plans to push sales through its own website, rather than through the GDS. 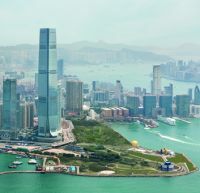 The Ritz-Carlton, Hong Kong, has opened, dominating the skyline as the world’s “highest” hotel. Located at the very top of the International Commerce Centre (ICC) in Hong Kong, occupying floors 102 to 118, the hotel is the newest addition to the brand’s growing global portfolio of 75 luxury properties and its 16th hotel in Asia. On the Kowloon side of Hong Kong, facing Victoria Island, the property replaces the old Ritz-Carlton on Connaught Road. Guests are welcomed into the arrival lobby on the 9th floor before being transported up to the hotel lobby on the 103rd floor. The hotel’s 312 guestrooms all offer spectacular city and harbour views. Starting at 50sq m for a Deluxe Room, and reaching 365sq m for the magnificent Ritz-Carlton Suite, rooms provide state-of-the-art technology including wi-fi, iPod docking stations, blu-ray DVD players and flat screen TVs. 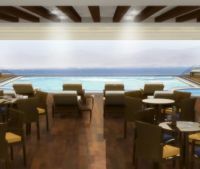 In addition, Club room guests can enjoy the panoramic view from the Ritz-Carlton Club Lounge with complimentary food and beverage presentations 24 hours a day. 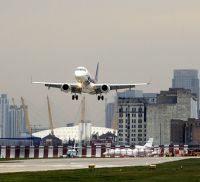 Established essentially as a business traffic airport London City is experiencing a minor boom with the Mediterranean leisure routes led by British Airways and its Embraer fleet. New services to Faro and Malaga have already been reported by AERBT. 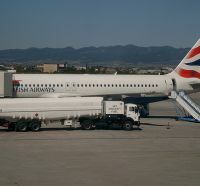 British Airways flies all year round to both Barcelona and Nice. During the summer Ibiza and Palma Majorca are added. Such has been the strength of forward bookings for the months of July and August Palma goes up to daily, except for Saturday. Ibiza remains at three times per week. In addition to the extra frequency British Airways will operate the flights using its fleet of larger 98-seat Embraer 190 jets in a two-class configuration. 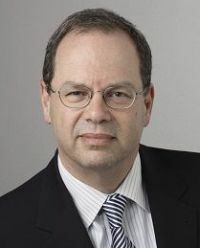 Michael Wisbrun is to become Managing Director of Skyteam, the airline alliance headed by Air France and Delta Air Lines. He replaces Marie-Joseph Malé effective 1 June 2011. As head of the management team, based in the central office in Amsterdam, Mr Wisbrun will be responsible for implementing the future strategic plan as set forth by the SkyTeam Governing Board. 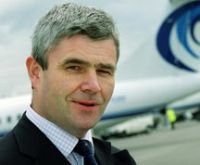 He comes from KLM where he was instrumental in developing the KLM Northwest Joint Venture, the basis of the current transatlantic common enterprise with Delta, Air France, KLM and Alitalia. 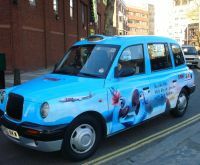 "Rio" animated feature film just released by 20th Century Fox, is being promoted by the Brazilian airline TAM using London taxi cabs. TAM flies to Rio de Janeiro daily from Heathrow and also daily to Sao Paulo. Directed by Brazilian Carlos Saldanha (the man responsible for the “Ice Age” trilogy), “Rio” is set in Cidade Maravilhosa (Wonderful City), as Rio is affectionately known. Blu, voiced by Jesse Eisenberg, is a domesticated blue macaw, which never learned how to fly and lives in the United States. Its owner, Linda, believes it is the last one of its kind. When she discovers the existence of another macaw living in Rio de Janeiro, the two of them travel to the far-away, exotic land of Brazil to find Jewel (Anne Hathaway), the only female of the species. 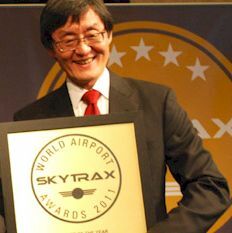 Skytrax, the Harley Street London-based air transport research organisation, perhaps better known for airline quality checks, has published its World Airport Awards for 2011 with Hong Kong taking first place. Sofitel Heathrow T5 won the Best Airport Hotel Europe category. Other winners included Shanghai Hongqiao picking up Most Improved Airport, and London’s Stansted triumphing in the Best Airport For Low Cost Airlines category. Kuala Lumpur International Airport won Best Airport Immigration Service. BA added another fuel surcharge to certain flights last Friday, the third increase in less than three months. Short haul and domestic UK passengers will escape these new charges. The increase on long haul non-premium tickets will increase by £10 per sector which means that for flights up to nine hours World Traveller passengers will pay £85 surcharge and for the longer services £98. With World Traveller Plus it is £95 and £116.50 respectively. In a statement, Nick Swift, BA's Chief Financial Officer, said that the company regretted having to raise surcharges and were aware that these were difficult economic times. He said: "For us, fuel now represents over one third of our costs and particularly affects our long haul flights. Pro air transport UK lobbying group Flying Matters is to be wound up at the end of April. 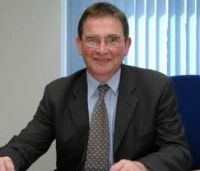 This follows disagreement between senior corporate members of the organisation, which was chaired by former Labour Energy Minister Brian Wilson. This was particularly with regard to APD (Air Passenger Duty) where leading members easyJet and Virgin Atlantic disagreed over whole plane tax (with easyJet in favour and Virgin against). The organisation did cover a wide spectrum of the industry, including both British Airways and Unite, but there was an argument that Flying Matters carried little weight or influence. At the same time as Aer Lingus reports a poor performance for March Aer Arran has announced that it is dropping several regional routes from Dublin to the west of Ireland. Aer Lingus says that booked passenger figures fell by 8.4% to 716,000 in March split between short haul and long haul. The airline points out that while the Easter holiday began in the last week of March in 2010, this will not occur until late April this year. The booked load factor in March for Aer Lingus decreased by 3.7 points on to 72.2%. Clearly with the long-awaited introduction of the Boeing 747-8 Intercontinental in mind later this year Lufthansa has started the complete revamp of ten current Dash 400 series aircraft. All the aircraft will be completed by November. The highlight of the upgrade, which involves all cabins, is a reduction in First Class from 16 passengers to just eight. This will ensure a quieter and more exclusive atmosphere. The window seats will be converted into full-length, lie-flat beds with a sleeping surface measuring over two metres in length and a top-quality mattress, guaranteeing first class sleeping comfort. 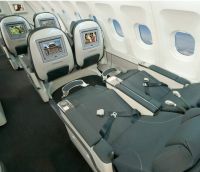 Each passenger in the new First Class cabin will thus not only have a seat but also a separate bed. Sound-absorbing curtains and sound-deadening insulation beneath the carpet will ensure that passengers enjoy the necessary peace and quiet. As a hallmark of Lufthansa’s First Class service, top-of-the-range materials such as matt-brushed metal and scarred leather have been used throughout the cabin. Emirates Airline is joining the rush of new services to South America in pursuant of the 2014 World Cup and Brazil’s expanding economy. The Dubai-based airline has flown non-stop to Sao Paulo since 2007. 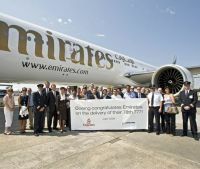 From 3 January 2012 Emirates will operate a daily direct flight from Dubai to Rio de Janeiro and on to Buenos Aires . Flight time to Rio is around 14 hours and back non-stop from the Argentine capital 15 hours. The Boeing 777-300ER is expected to be configured with the usual three-class Emirates set-up. Cargo will play an important part in making the operation viable with fruit and vegetables an important Middle East market from South America. The US Department of Commerce has released its 2010 report on International visitation, noting a record 60m visitors 5m more than the previous year. In 2010, the top inbound markets continued to be Canada and Mexico, both of which were up in arrivals along with eight of the nine overseas regional markets. Non-resident visits from Canada, which set a record in 2010, and Mexico were up 11% and 1%, respectively. Excluding Canada and Mexico overall arrivals from overseas markets accounted for 44% of the total. Country by country the figures made some interesting reading with the United Kingdom still the biggest market with 3.85m arrivals, but the only major country showing a drop, 1.2%. Next up was Japan, and here the growth is a mighty 16% (3.38m) but this likely to fall drop away in 2011 due to the earthquake problems. Germany is less than half of the UK at 1.72m (+2.3%) and France seeing 11.4% increase at 1.34m. 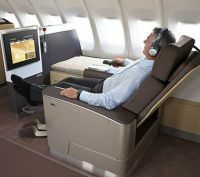 Premium Economy is here to stay, seats may have reached the limit of their ‘thinness’ and the IFE (in-flight entertainment) market could be about to experience seismic change. This was the opening day’s message at last week’s Aircraft Interiors Expo, its tenth exposé at Hamburg Messe. An industry panel set any scepticisms about Premium Economy/Economy Plus firmly straight by confirming that it is not only here to stay but may hold further opportunities to be explored. United Airline’s Director of Product Marketing, John Yeng, backed this up saying: “There is big potential out there for Premium Economy.” He added that feedback from the airline’s Economy Plus area showed that passengers were scoring this service significantly higher than traditional Economy in terms of rating the overall travel experience. Figures published show that for every four passengers who fly for business purposes, three of them are in Economy seats – pointing to a significant growth potential for this segment of the cabin space. 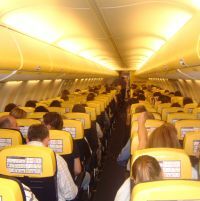 Legroom and seating was also raised as an issue. 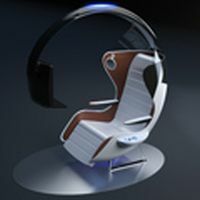 Airbus Head of Aircraft Interiors Marketing, Bob Lange, said that he felt it was now mathematically impossible to make seat-backs any thinner than the latest products already offer. Bob Lange commented that cost was also a major factor for airlines saying that the annual costs to maintain IFE could be as much as an aircraft engine. “It’s important for airlines to make the right decisions from the beginning,” he said. With all shows it is difficult to find one outstanding item from many that are innovative and may well make their way into production. 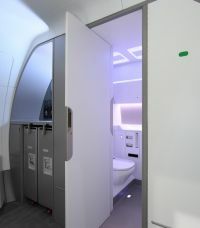 However a market research mock-up of a space-saving rear toilet and galley concept for the Airbus A320 Family caught the eye. Called Space-Flex, the concept makes more efficient use of the volume at the rear of the cabin. The result: two rest rooms plus a galley can now be accommodated in this space, offering airlines the possibility to install up to three more revenue-generating seats in the cabin and/or to improve seat pitch. One of the Space-Flex lavatories provides full access for ‘Persons with Reduced Mobility’ (PRM) through a simple conversion process: an industry first on a single-aisle aircraft. Other innovative new products demonstrated include a drinks trolley that could revolutionise the way beverages are served on board aeroplanes. The Sky-Tender has been developed by SkyMax and Air-Eltec Luftfahrtelektrik and can produce up to 30 different drinks including tea, coffee, soft drinks, wine and beer – at the touch of a button. The system has excellent green credentials because it will significantly reduce the amount of bottles and cans that are traditionally needed for each drinks service. Less waste means a saving on weight and also frees up storage space on board. It also means a speedier service – drinks are delivered quickly by the automated system – and airline staff no longer need to rummage around in trays looking for a passenger's preference. Seat specialist Recaro introduced its new Economy Class seat Basic Line 3520. The company says it has managed to significantly reduce the weight of each seat unit to less than 11kg – making it 30% lighter than the previous model. This was achieved by combining high-tech materials with intelligent design. Another key feature of the new seat is that it offers passengers more living space by including a higher literature pocket which is positioned above the tray table instead of in the knee area. Contour Aerospace was showcasing a futuristic video gaming station concept. Known as ‘Not For Wimps’ the concept was developed in conjunction with Factorydesign and features a dramatic arc of composite Kevlar and carbon fibre that curves over the top of a bucket seat creating a personal canopy feel. Ideal for passengers looking for a serious gaming experience during a long Business or First Class flight, the seat includes a state-of-the art monitor and gives the impression of being almost cocooned from the rest of the cabin; speakers are integrated into the top edges of the seat and active noise cancellation is built-in to avoid the necessity for headphones, although they can be worn if preferred. Will ‘Not For Wimps’ make it into a scheduled airliner of the future, we shall see? Hamburg Messe is a shop window for the industry and rather like its motoring equivalent Geneva, not every thing you see is for real. But that is ‘show business’.